Vickie L Paden, 64, of Wooster, passed away Friday, March 29th, at Life Care Hospice. Born in Latrobe, PA on September 9, 1954, a daughter of Alexander and Mary (Lane) Herbenthal. Survived by daughter Jessica (Dave) Ealy; 2 sons Jason (Heather) Ealy, Samuel (Stacey) Ealy; 2 sisters Cathie Oquendo, Tammie Howard; 2 brothers Alex (Shellie) Hebenthal, and Mike (Janine) Hebenthel. 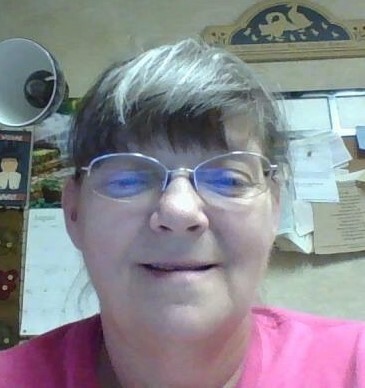 She also leaves behindher beloved grandchildren Rob, John Jr, Austin, Connie (Larry), Amber, Avery, Jason Jr, Alexander, Devon, Hunter, Savannah, Stewart, Shannon, Shyanne, Anne Marie, Emily; and 2 great grandchildren Matthew and Olivia. No services will be held at this time. You may add your condolences on our website: www.waltner-simchak.com.